In the past, the NDP has funded $7.2M for the BVI Airways that never flew—and to date, no one explained what has happened to taxpayers money—and $1.6M for a small wall around the Elmore Stoutt High School (ESHS) in which the Auditor General speaks of corruption, broken laws and persons being paid for work not done. In addition, there was a whopping $40M overrun on the Ports Development Project with the Auditor General, the House of Assembly’s Public Accounts Committee and a former project manager Hugh E. Darley calling the project corrupt. 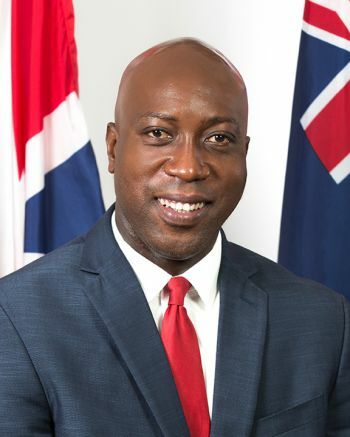 Recently, millions and millions in no-bid contracts were unearthed via the Virgin Islands’ House of Assembly (HoA), in addition, the United Kingdom imposed an alternative government after the hurricanes of 2017—called the Recovery and Development Board (RDB)—to handle all rebuilding projects, because of mistrust and lack of accountability and transparency in the Dr Smith led regime [2011-curent]. Furthermore, to the disappointment of the educated class since May 16, 2016, Tortola, has not had a public library. It means that important research cannot be done, and puts the Territory at the back of the line when compared to other developed and modern countries. While the proposed Library some two-plus years later was to be housed at the old Clarence Thomas Building—which never came to past—a public library appears not to be a priority for the NDP Government. The last we heard about the Public Library from the subject Minister, Hon Myron V. Walwyn (AL), was when he said he could not give a restoring date. He was at the time responding to a question from the then Opposition Leader, Hon Andrew A. Fahie (R1). 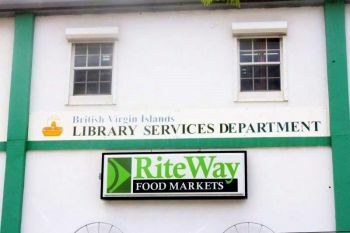 There is a small Library in East End on Tortola, but it does not have the volume of books or materials that would normally be found in a national public library. In addition, the room is extremely small, congested and under staffed with limited resources, according to one resident. 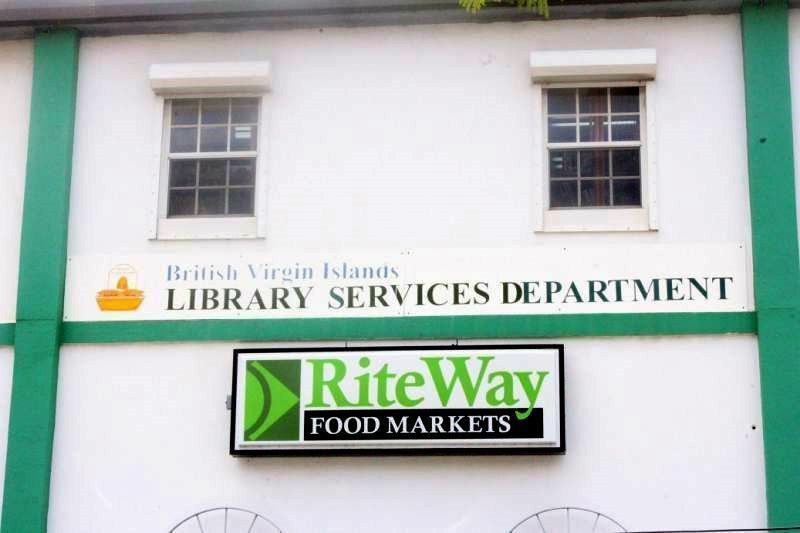 However, the fact that a public Library remains closed almost three years later, residents could only conclude that this is still not a priority for outgoing Premier and Minister of Finance, Dr the Honourable D. Orlando Smith (AL) and his administration. It is unclear where all the books and materials from the Road Town Public Library are and the conditions of them. In June 2018, Hon Walwyn told the HoA that they are stored at the ESHS campus in a building labelled Block F.
They are said to be stored in four rooms, one room on the ground floor and three rooms on the second floor according to him. It also says much about the state of education or the value placed on such an important resource—books and a Public Library—post-Irma and Maria of 2017. Goes to show what type of leadership (dictatorship) this present Government wanted. It's a crying shame to see what has become of our Territory, in the hands of Greed and Worthlessness! The funding for the library went into the unfinished 1.6 million dollar wall. We need a WHISTLEBLOWER LAW. This would prevent this type of corruption and mismanagement and then we could focus on rebuilding our broken country. This is a downright shame, a disservice to members of the BVI community, and a disgrace. What I would like to also know, is what has been done with the human resources employed to run the Road Town Public Library? Are we, the taxpayers, getting value for our money, especially from the persons of high ranking in the department? Are their skills being properly utilised? 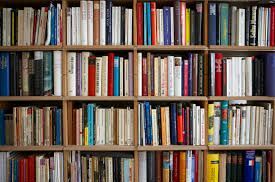 Have arrangements been made for us to utilise the HLSCC Library - to conduct research and borrow books? And finally, when will the library be reopened? It is long overdue. This explains why the educated people does not support myron. ..only a set of low life broke and a set of Island man does be following he. The people with education would never have him lead them, not even within the ndp. The educated Ronnie, kedrick, mitch, Ms parsons, ms hull, etc all gone. And I am a one so called ISLAND WOMAN and me and me whole folk a go vote for Myron. ...go vote for Myron ‘even if he make jail first’. We go visit him each day of the week cause we care more about him than the BVI, he just like us. We just here to get what we can get and if war brake out me and my family gone. Myron can come too. ‘That is...if he don’t make jail first’. Just to inform you that educated people don’t wins election . That’s a fact. The so call educated people are people who are looking about them self. They clapped hands together for there own benefits. Be honest, tell which one have you benefited from. The one that has island parents , they are just using for there own benefit because she is not one of us. I see you have Pickering name can you please tell me what he has done waste of time just traveling. I am from his district and I am still waiting to see him from the hurricane. He is arrogant and proud person and god don’t like it. We need people that we can sit,laugh, council and debate it is. Pope, Jay and Brian LOL........ this is hilarious!!!!! This is the real RealPol and and the above opinion is not mine. What is a country without a library? Why Mr Premier, not even that counts? When is the library coming back again? I know you might think it's not important right now, but could you please put something in place..before you take a bow. killin meh. Anonymous don't be handlin my boy Joe Jack like da. Wa do you, our quality can never be denied. Anonymous wa kine ah pistarkle you is. Lord meh belly huttin meh. Vino ayo goin kill people. lol.... the ending of that blog was the funniest blog ever!!! Education and Libraries goes hand in hand. Yes, the internet is available however, most local books can not be resourced online. Most of the information on historical persons of the BVI cannot be found online. Most of the information about BVI history, heritage, and culture can not be found online. BVI history assignments requires students to research books found at the library. (Education is important in society. Education creates employment and keeps the majority of the population from resorting to questionable ways of survival for example...prostitution, criminal activities etc.) We demand our library back Ministers!! !